Everybody lies, but it doesn't matter because nobody listens. After installing updates for spacewalk you may see a message like this on the home screen. A schema upgrade is required. Please upgrade your schema at your earliest convenience to receive latest bug fixes and avoid potential problems. To fix this run the following commands. If you see an error like below when you try to create a graphite user you will need to update the graphite database in order for user create to work. Unfortunately sqlite doesn't support the drop constraint syntax so you will need to create a new temporary table, copy over the existing table, and then rename. Now user creation should work. In an attempt to make my site more responsive I have been working on optimizing the SQL code used on the backend, this includes the random quote generator that I have set up on the main page. The old code used a query similar to below. This works fine if you have small tables and fast disks but consider the issue when there is a table with millions of rows. To find *one* record the server must read through the table, sort the records, and then discard every result but one. This operation is slow and inefficient. This query is not perfect and may result in empty results which your code will need to accommodate for but it is still more efficient than reading the entire table every time the page is loaded. How to disable firewall "spam" on your console. I worked on a ticket recently for a customer concerned about firewall messages being sent to every user's console by the kernel. After doing a bit of research I discovered that the nf_ct_ftp module logs messages to syslog as *emergency* level by default which results in every console being spammed by firewall messages. To prevent this you can make a few simple changes as follows. First, set up a custom rsyslog conf file to send iptables messages to a different file. The first line means send all messages that contain the nf_ct_ftp: string to /var/log/iptables.log. The second line causes rsyslog to discard messages that were matched on the previous line. Adjust this rule according to your needs. Second, update sysctl.conf with the following lines and then run "sysctl -p". See https://www.kernel.org/doc/Documentation/sysctl/kernel.txt for a description of these values. Now restart rsyslog and test your changes using the "logger" command. logger -p kern.emerg -t kernel "nf_ct_ftp: dropping packet test"
You should not see anything on the console. cat /var/log/iptables.log to confirm that the entry was logged properly. After you have confirmed that the messages are being logged properly you can set up logrotate to manage the logs. Create a config file to do this similar to below. There is nothing else to do at this point. Changing the domain name on a Magento install requires a few steps to update the site URL in mysql. The procedure should be similar to below. After this is done delete the contents of WEBROOT/var/cache. The location of the WEBROOT varies depending on how your server is set up. Update any .htaccess redirects you may have added. That's it, you're done! Open the site in a new browser tab to make sure that everything loads properly. If you get an error from chrome stating that your profile could not be loaded properly here is the PROPER way to fix the issue. Unfortunately googling for this error leads to a lot of false information and speculation. First, go to your profile's data directory. In Linux this would be ~/.config/google-chrome/Default. Now check for any processes that have the Web Data file open. Next run an integrity check on the database. sqlite3 Web\ Data "pragma integrity_check"
This should repair any errors in the file. After that is done start up chrome. Here is a simple canola/soybean oil soap recipe. Yield is approximately 8 lbs of soap. Lye amount is based on a saponification value of 0.130. See http://www.millersoap.com/soapdesign.html#SAP Tables for more details. Coloring - Use dye or a small piece of crayon. Dissolve lye into water. Prepare this mixture in advance, the water will take time to cool. Pour oil into large pot, heat to 130 degrees. Stir lye mixture into the oil. Blend with a stick blender until you see signs of tracing. Pour into molds and let harden. Raw soap will take 24-48 hours to harden, after that the soap can be removed from the mold to cure. Allow 30 days cure time. If you need admin access to a wordpress install you can easily create a new admin user by running a few SQL commands on the database. This has been tested and verified to work on Wordpress 3.5. To do this you will first need to identify what database the site is actually using. Check wp-config.php for the database name and mysql host info. Once you have that connect to mysql and run the following statements. After reading about various cluster file systems I decided to set up a small cluster running Lustre using Storm VPS instances. 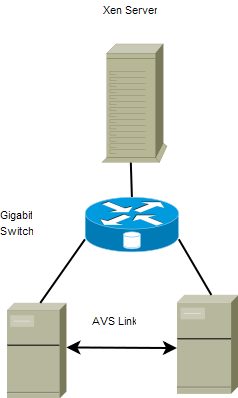 All nodes have the same hardware configuration and use a 50 GB SAN volume connected through iSCSI as the lustre block device. Specs are as follows. Lustre configuration: 1 management server, 1 metadata server, 1 object storage server. LNET was configured to use a private network interface. Disk performance was tested with the sgpdd_survey script from the Lustre IOkit. Write speed appears to average around 35-40 MB/s. IOPS performance was tested using iozone, here are the results. OPS Mode. Output is in operations per second. As you can see lustre is a relatively high performance file system and is easily scalable to store petabytes of data. Adding more space is as simple as building a new object server and running mkfs.lustre. If you want to set up a yum repo you can easily mirror an existing site using wget. To do this you will need to run this command. In this case we are mirroring the lustre rpm repo. After the files are downloaded you can run the createrepo command to create yum metadata. If you work on a lot of servers and do a lot of reinstalls you will see the following error often. Add correct host key in /var/root/.ssh/known_hosts to get rid of this message. RSA host key for host.example.com has changed and you have requested strict checking. A bit of googling lead me to a few patches that helped solve the issue. Here is a unified diff of my changes which should allow you to cleanly build and install the wl module using module-assistant. One thing to note is that the source code needs to be patched BEFORE you run m-a, i.e. cd to /usr/src/modules/broadcom_sta/amd64/src/wl/sys and run patch the patch from there. I hope that somebody will find this useful. If you're sick of the update notifier bugging you on your Ubuntu desktop you can easily set up a cron job to automatically take care of things. Change the time to whenever you want. Directory '/var/run/screen' must have mode 777. This is a fairly common error I've been seeing lately and the solution is quite simple. If you're a bash user like me and login to A LOT of servers every day, it helps to have a visible notation of what server you're actually on. Add this to your .bashrc file and source it. There's a lot more you can do like adding a clock, the history number, etc. but I prefer to keep it simple. I've been working on a project at work that has kept me pretty busy this week, it involves shared storage and computing clusters which has me pretty geeked out. I must say that I've learned A LOT about Solaris clustering, iSCSI, and disk replication, throw ZFS with Xen on top of that and things get pretty complicated. Here's a diagram of the current system I have built. With this setup the file server has ZFS pools that replicate each disk over to the secondary, the concept is the same as a local disk mirror. I've tested out a few different fail over situations which have worked so far, the one wrench in the works is that Linux doesn't like having iSCSI targets moved around while the device is open. This means that the xen server must shut down all running domains, take the volume offline, and then restart everything. Naturally this is not desirable in production, I will be testing out a Solaris server running xVM to see how that handles moving iSCSI targets later this week. Virtualization is a big trend in computing right now and Solaris offers some very nice options of its own. One of these features is zones and branded zones which allow non-native operating systems to be installed into a container, this is similar to other technologies like OpenVZ and linux-vserver but zones add the power of ZFS as well. I started reading the excellent article on Blastwave about setting up zones in Solaris 10 and within an hour I had everything finished with a Linux branded zone running CentOS 3.9. Here's a quick run down on how to accomplish this. After this is done you need to create the zone and install it, these are two separate processes. For the install you will need the iso images or a tar ball of a file system, you also need to create a new distro file as Solaris only goes up to CentOS 3.8 right now. Edit this file and change the serial to "1183469235.99" and the version to "3.9"
The STATUS is now "installed". As you can see zones are very powerful and allow a system to be divided up as you see fit. Each zone is completely isolated from the others and has its own cpu limits, process lists, network stack, etc. Even if a zone is completely wiped out it will not affect your global zone. I've recently switched to OpenSolaris on my desktop at work and I just wanted to write a bit about my experiences. Installing the OS is about the same as any other unix system. Boot the CD, enter a host name, root password and select the drive you want to install to. One nice thing is that you can set up a ZFS mirror out of the box, if not you can easily mirror your pool later without having to mess around too much, one command takes care of it. All of the hardware on my computer was detected and loaded the proper drivers without me having to intervene. As long as your hardware is listed on the compatibility list you'll be fine. Setting up X with multiple monitor support is also very easy, just run the Nvidia settings app and configure your screens. One issue I did have is that mp3 support isn't included as part of the default install, you have to download the codec package from Fluendo if you want mp3 support in totem or anything else that uses the gstreamer backend. Flash also requires a manual install, the plugin is pretty easy to set up however. After using the system for a few weeks I'd have to say I'm impressed. If you have any experience at all with running a Linux desktop it shouldn't take long to adjust and you'll have access to zfs and dtrace which simply don't have equivalents in Linux. In short, give it a try, you might like it. Since the C-SPAN web site crashes firefox you need to use Real Player by itself to watch live streams, just use this URL. While setting up my new music server today I had a small issue to take care of, setting up play lists. While I do like having tracks play randomly most of my music is meant to be listened to as a complete album, Dark Side of the Moon, for example. Enter python, in less than 25 lines of code I came up with a solution. The below script parses through my music directory, shuffles the albums and then creates a play list file. cmd = "find /export/home/music -type d"
I've been studying economics lately since I'm a stats freak and I find the economy really interesting, I also like to plan things financially so it's nice to spot where trends are going. Here's a chart of diesel prices over the last 5 years, adjusted for inflation. I already had the price data in my database so all I had to add was a table for the consumer price index and create a view to display the new data. The values are in 1982 dollars, to convert to current values just multiply them by 2.13 which is the CPI for March 2008. Last night I set up ushare to stream videos from my PC to the Xbox, it's a lot more comfortable sitting on the couch to watch movies and now I can just download anything that I want to watch. Setting things up wasn't too difficult, I had to add an extra NIC and run a crossover cable for the connection, I also had to set up IP masquerading which only requires 4 simple iptables rules. After that stuff is done just start up ushare and point it to your video directory, the Xbox will automatically see the share and let you browse videos. If you don't have an Xbox ushare also works with the Playstation 3 or any other UPNP or DLNA device, there's also dedicated boxes that you can buy for your TV that just need a network connection. I could swear that Google is reading my mind. I was just thinking the other day that it would be nice if somebody made a simple, easy to use API for generating charts on web pages. Lo and behold Google goes and does it. I've been messing with other options like PyX for python, MRTG, and gnuplot but all of them are clunky and the images they generate are ugly, the charts generated by google are just regular PNG files so you can embed them in any web page using a simple tag. For you python users out there I've written a small python module to encode values and generate a request URL, you can find it here. Here is a small test application that I made, it graphs my car's fuel mileage history and the cost per mile over time by pulling data from a table in postgres. I started playing Halo 3 at my friend's place and I got hooked so I decided I had to get a system for myself. After doing some research I discovered that most of the 'broken' systems out there are easily repairable, all you need is 8 bolts and some washers, along with some Arctic Silver for the heat sinks. I looked around Ebay I found a place that sells broken electronics which had a bunch of systems available, I sniped one and won it for a decent price. After I got the system the first thing I did was tear it apart and proceeded with the X-clamp removal process, put it back together and everything works, no more red ring of death! While my repairs were successful I would only reccommend doing this if you're into electronics repair and have some experience working on circuits, you can easily screw things up if you don't know what's going on.